Nigel David Hallgate, 57, of Linden Way, Boston. Speeding on the A15 Cross O’Cliff Hill, at Lincoln. £80 fine, £20 victim surcharge, £80 costs, licence endorsed with three points. Allessandro Bonafine, 43, of Cherry Walk, Boston. Speeding on the A16 at Algarkirk. £400 fine, £40 victim surcharge, £85 costs, disqualified from driving for 28 days. Colin Haw, 79, of Ingelow Avenue, Boston. Speeding on Station Road, Waddington. £50 fine, £20 victim surcharge, £85 costs, disqualified from driving for 14 days. Andrzej Jacek Adamczyk, 55, of Willoughby Road, Boston. At Spalding, kept on Osler Road, a vehicle which was unlicensed. £600 fine, £90 costs, £133.34 vehicle excise back duty. Kevin Addy, age not stated, of Woodthorpe Road, Boston. At Boston, was the person in whose name a vehicle was registered under the Vehicle Excise and Registration Act when it did not meet the insurance requirements of the Road Traffic Act. £200 fine, £20 victim surcharge, £110 costs. Stephen Carey, 20, of Townfield Lane, Swineshead. At Boston, was the person in whose name a vehicle was registered under the Vehicle Excise and Registration Act when it did not meet the insurance requirements of the Road Traffic Act. £200 fine, £20 victim surcharge, £110 costs. Ritchie Eldinc, age not stated, of Craven Avenue, Kirton. At Boston, was the person in whose name a vehicle was registered under the Vehicle Excise and Registration Act when it did not meet the insurance requirements of the Road Traffic Act. £200 fine, £20 victim surcharge, £110 costs. Viktoras Gudauskas, age not stated, of Threadneedle Street, Boston. At Boston, kept on Fenside Road, a vehicle which was unlicensed. £200 fine, £38.34, £90 costs. 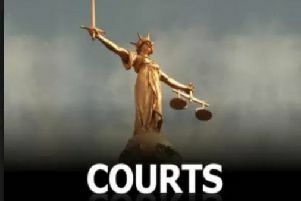 Rebecca Ashleigh Holland, 24, of Butterwick Road, Benington. At Boston,was the person in whose name a vehicle was registered under the Vehicle Excise and Registration Act when it did not meet the insurance requirements of the Road Traffic Act. £200 fine, £20 victim surcharge, £110 costs. Artur Korus, 26, of Fydell Street, Boston. At Boston, was the person in whose name a vehicle was registered under the Vehicle Excise and Registration Act when it did not meet the insurance requirements of the Road Traffic Act. £200 fine, £20 victim surcharge, £110 costs. Dmitri Kozar, 26, of St Nicholas Close, Boston. At Boston, was the person in whose name a vehicle was registered under the Vehicle Excise and Registration Act when it did not meet the insurance requirements of the Road Traffic Act. £200 fine, £20 vehicle surcharge, £110 costs. Sandris Liepins, 30, of Castle Square, Wyberton West Road, Boston. At Boston, was the person in whose name a vehicle was registered under the Vehicle Excise and Registration Act when it did not meet the insurance requirements of the Road Traffic Act. £200 fine, £20 victim surcharge, £110 costs. Manuel Ricardo Lopes Magalhaes, 32, of Castle Street, Boston. At Boston, kept on Castle Street, a vehicle which was unlicensed. £400 fine, £118.75, £90 costs. Mark Philip Pelling, 23, of Peck Avenue, Boston. At Boston, was the person in whose name a vehicle was registered under the Vehicle Excise and Registration Act when it did not meet the insurance requirements of the Road Traffic Act. £75 fine, £20 victim surcharge, £110 costs. Juris Rudovics, age not stated, of Windsor Terrace, Boston. At Boston, was the person in whose name a vehicle was registered under the Vehicle Excise and Registration Act when it did not meet the insurance requirements of the Road Traffic Act. £200 fine, £20 victim surcharge, £110 costs. Dmitris Sutcyins, 32, of Hartley Street, Boston. At Boston, was the person in whose name a vehicle was registered under the Vehicle Excise and Registration Act when it did not meet the insurance requirements of the Road Traffic Act. £200 fine, £20 victim surcharge, £110 costs. Rita Zarina, age not stated, Eastwood Road, Boston. At Boston, was the person in whose name a vehicle was registered under the Vehicle Excise and Registration Act when it did not meet the insurance requirements of the Road Traffic Act. £200 fine, £20 victim surcharge, £110 costs. Peter McCudden, 45, of Union Street, Boston. At Boston, dishonestly undertook or assisted in the retention, removal, disposal or realisation of stolen goods, namely mobile phones, of a value unknown, belonging to Cash Generators. Community order made, to include 100 hours’ unpaid work, £24 compensation, £85 costs. Dmitrijs Kudryavcevs, 34, of Freeston Road, Heckington. At Boston, drove on Park Gate, after consuming so much alcohol that the proportion of it equalled 71 microgrammes of alcohol in 100 millilitres of breath (legal limit 35), also drove while disqualified and without insurance. Community order made to include 200 hours’ unpaid work, £60 victim surcharge, £85 costs, disqualified from driving for 36 months for one charge, 12 for another. Gabriel Waldemar Wisla, 54, of Liquorpond Street, Boston. At Holbeach, drove on the A151 after consuming so much alcohol that the proportion of it in breath equalled 60 microgrammes of alcohol in 100 millilitres of breath (legal limit 35). £200 fine, £20 victim surcharge, £85 costs, disqualified from driving for 17 month. Raymond Booth, 48, of Barnes Road, Donington. At Donington, drove a motorvehicle on Barnes Road, after consuming so much alcohol that the proportion of it in breath equalled 65 microgrammes of alcohol in 100 millilitres of breath (legal limit 35). £320 fine, £32 victim surcharge, £85 costs, disqualified from driving for 17 months. Mark Alexander Osbourne, 34, of St Leodegars Close, Wyberton. At Kirton, committed assault. Community order made to include a six month drug rehabilitation requirement and participation in a Building Better Relationships for 30 days, restraining order made, £60 victim surcharge, £85 costs, disqualified from driving for 12 months. Harvey Clifton, 19, of Sussex Avenue, Boston. Twice at Boston, assaulted a constable in the execution of their duties. £110 fine, £20 victim surcharge, £85 costs. Oliver Benjamin John McGirr, 20, of Sleaford Road, Boston. At Boston, resisted a constable in the execution of his duty. £100 fine, £20 victim surcharge, £85 costs. Matthew Wilson, 33, of Willow Court, Sleaford. Two charges of, at Boston, being the driver of a vehicle, owing to the presence of which on the A52/Bicker Roundabout an accident occurred whereby damage was caused to another vehicle, failed to stop and on being required by a person having reasonable grounds for so requiring failed to give your name and address and the name and address of the owner and the identification marks of the vehicle. £230 fine, £23 victim surcharge, £85 costs, licence endorsed with six points. Karolis Radzevicius, 20, of Trinity Street, Boston. At Morrisons, on Wainfleet Road, Skegness, Discharged conditionally for 12 months, £15 victim surcharge, £85 costs. Grigorijs Finogejevs, 21, of no fixed abode. At Boston, stole perfume to the value of £69.50 belonging to Boots, Boston, commission of a further offence while subject to order of conditional discharge for 12 months for offence of attempted theft. Committed to prison for four weeks, £80 victim surcharge, no action taken on breach. John Gerald Rogan, 36, of Ingelow Avenue, Boston. At Boston, stole a cash tin and cash to the value of £150, commission of a further offence during the operational period of a suspended sentence order. Discharged conditionally for two years, £350 compensation, order to continue, suspended sentence varied to include 18 weeks suspended for 15 months (three months added for breach). Daniel Jason Wane, 34, of Sandygate Crescent, Old Leake. At Station Road, Old Leake, without lawful excuse, damaged a window to an unknown value intending to destroy or damage such property or being reckless as to whether such property would be destroyed or damaged. Discharged conditionally for six months, £200 compensation, £15 victim surcharge, £40 costs. Lathan Paul Middleton, 23, of no fixed abode. At Boston, without reasonable excuse breached restraining order. Discharged conditionally for six months. Mark Andrew Lyall, 42, of Wellington Road, Boston. At Sutterton, used towards another threatening, abusive or insulting words or behaviour. Discharged conditionally for 12 months, £15 victim surcharge, £85 costs. Agris Lidacis, 34, of Haven Meadows, Boston. At Nelson Way, Boston, had possession of five grammes of amphetamine. £100 fine, £20 victim surcharge, £85 costs, amphetamine to be forfeited and destroyed. Andrezej Skiba, 25, of Fydell Street, Boston. At Boston, in West Street, was guilty, while drunk, of disorderly behaviour. Also at West Street, had, without good reason or lawful authority, in a public place a foldable tool with locking blade. Community order made to include 80 hours’ unpaid work, £60 victim surcharge, £85 costs, order made to deprive defendant of his rights to a knife.